Congratulations to our first winner, Kim O'Neil, an elementary school teacher from Liverpool, NY. She will receive $500 towards National Board Certification. Everyone remembers that teacher who made a difference. The one who went the extra mile to truly affect lives, whose lessons carried as much importance outside the classroom as inside. 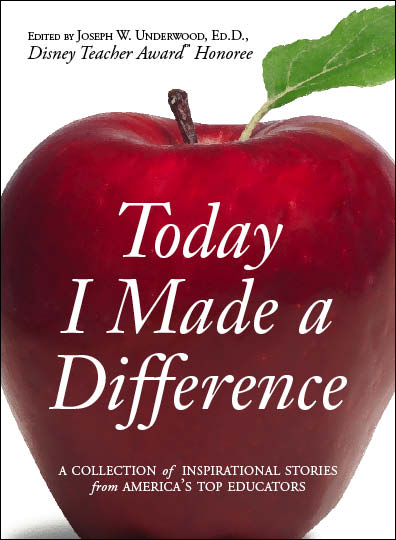 This book is a celebration of those teachers who continue to make an impact. A collection of stories from some of the country’s top educators, this book is a celebration of teachers’ work, and motivation for them to continue. 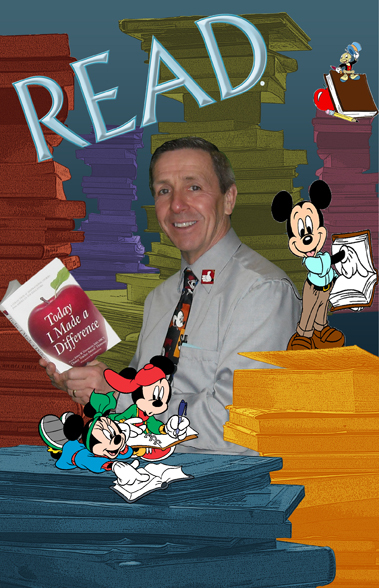 Joseph Underwood has collected stories from twenty-eight 2004 Disney (TM) Teacher of the Year honorees. And every story celebrates a different obstacle they overcame, the power and know-how needed to triumph, and the reward granted upon beating the odds. It’s the perfect gift for anyone in or considering the profession. This collection is sure to inspire, celebrate, and motivate those people who make the biggest difference in everyone’s life. our Today I Made A Difference $500 Award for teachers. I am proud to be a contributing author!